Just For You Sewlebrity Sewalong... May Projects! I'm so excited for our Just For You Sewlebrity Sewalong projects this month... and the amazing 'Sewlebrities' we have lined up to do them with us! First up (next week!) will be the Vernazza Top that was designed by Jessica Kelly of Running With Scissors. This knit fabric top has 4 color blocked pieces on each side, so there are 'sew' many possibilities! I am totally psyched to make this top again for myself this month. Our Sewlebrity that's making one with us will be Heather Valentine of The Sewing Loft. She is a master of knit fabrics and can't wait to see hers. The week after that we'll do the Travel Etui (pronounced A - twee) designed by Ute Barthell of Durbanville Design. If you're into more crafty sewing than garment sewing then this little number will be right up your alley and in time for summer vacation. This foldable wallet has pockets that are just the right size for a couple passports and all your train, plane, and cruise documents. Who's ready? Becky of Patchwork Posse is our Sewlebrity for the Travel Etui. Are you 'on board'??? The patterns for both of these projects are in our book Just For You. The book has 24 amazing sewing projects to keep you sewing for yourself all year, so grab a copy and join us! 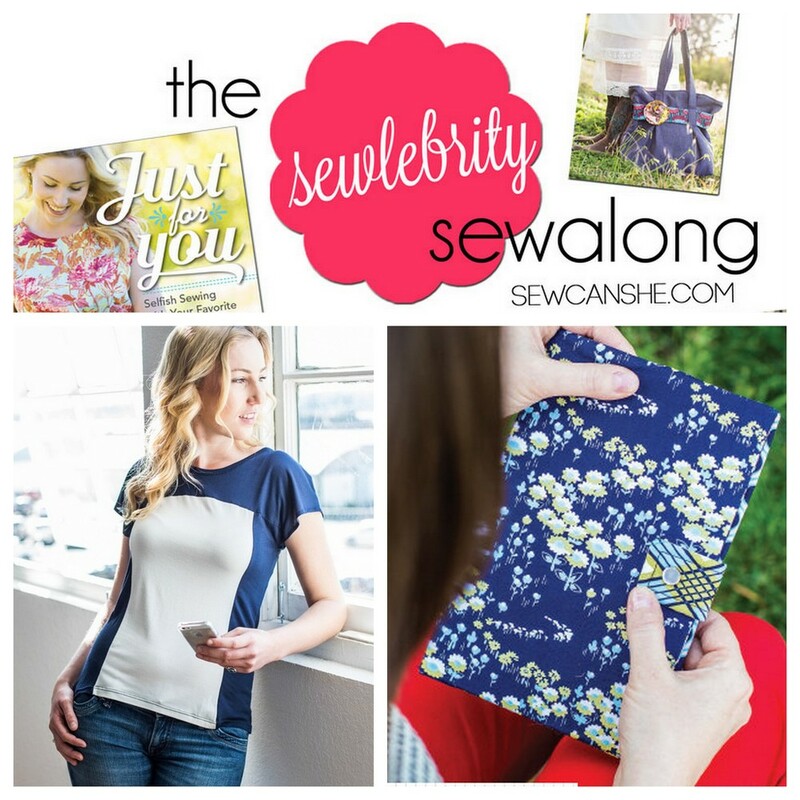 Our Just For You Sewlebrity Sewalong facebook group is a great place to make new friends and show off your projects.